Click on a student’s name to open the Student Information panel. 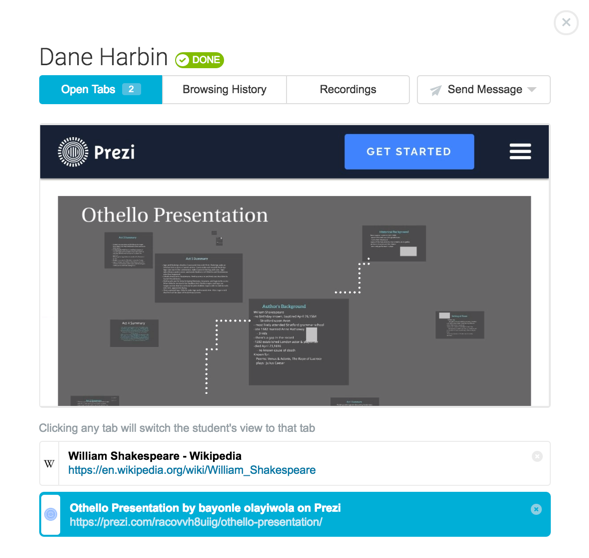 In this panel, you can view the student’s Open Tabs, Browsing History, Recordings, or send them a message. You’ll also see the student’s status next to their name. Click the “X” in the top-right corner to close the window. 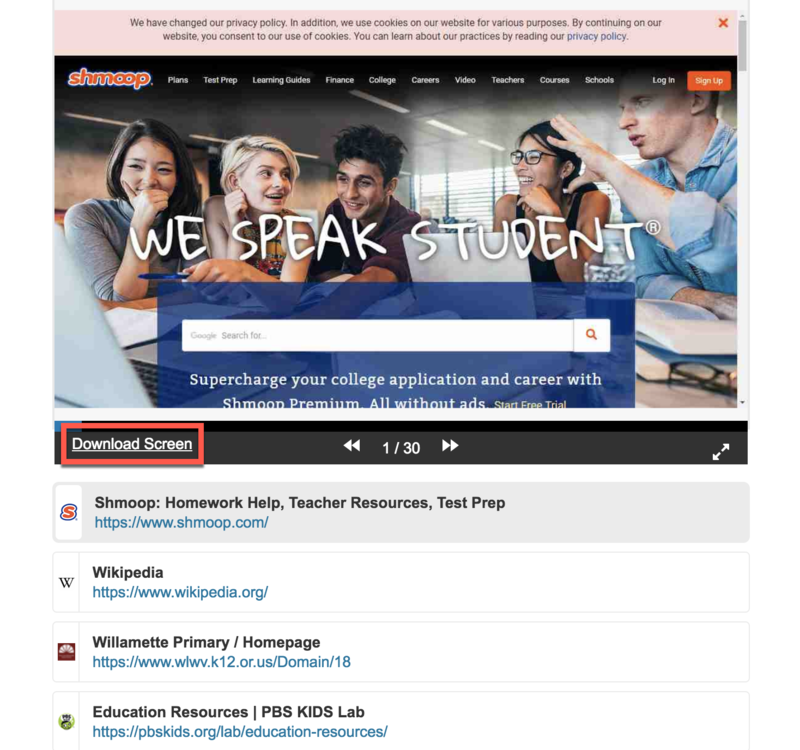 Hover over the current tab image to access the student control icons: Share Screen, Lock Screen, Unlock Screen, and Record for 10 minutes. The Browsing History tab includes the user’s list of sites visited (in chronological order). The list also includes the time and duration of the site visit. Click on the URL to visit the site. Click the calendar icon to open the date drop-menu. 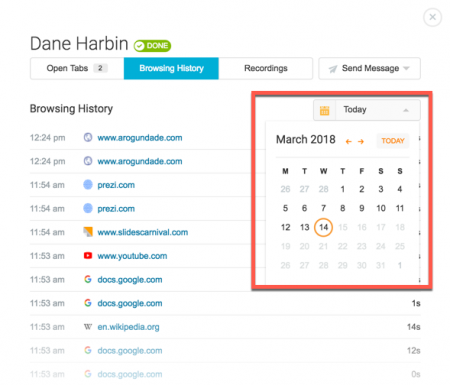 Choose a date to see the user’s browsing history for the date selected. Note: If the Relay Chrome extension or Smart Agent is not running, you will not see Browsing History data. 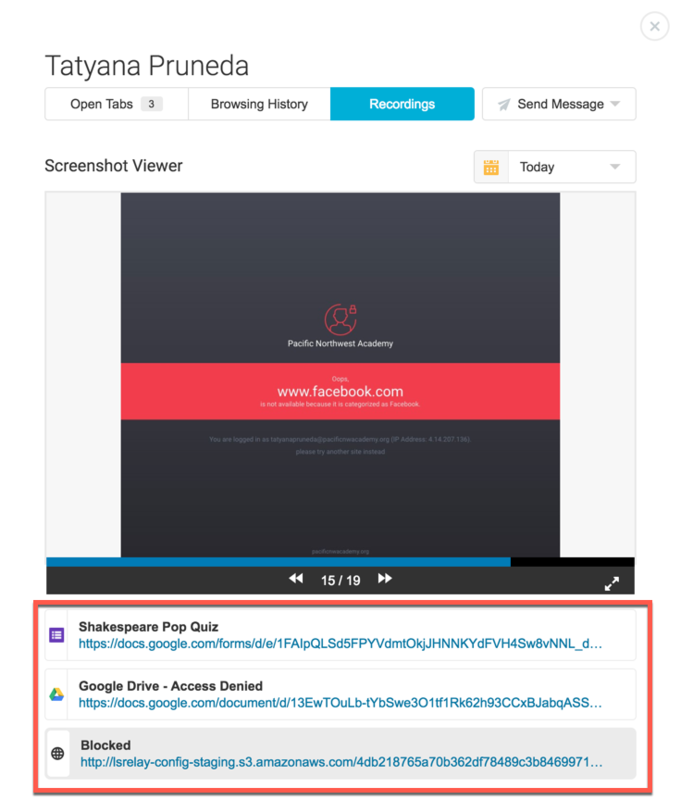 Open this tab to view this student’s screenshot recordings (recordings are created in 10-minute increments and screenshots are captured in 10-second intervals). Click the left/right arrows in the screenshot viewer to browse through the collected screenshots. Each recording provides a list of tabs and URLs opened at the time of the screenshot (the current screenshot’s URL will be highlighted in grey). To create a recording, click on the student’s name in the active student list to open the Student Information Window. Click on Open Tabs and hover over the open tab screenshot. 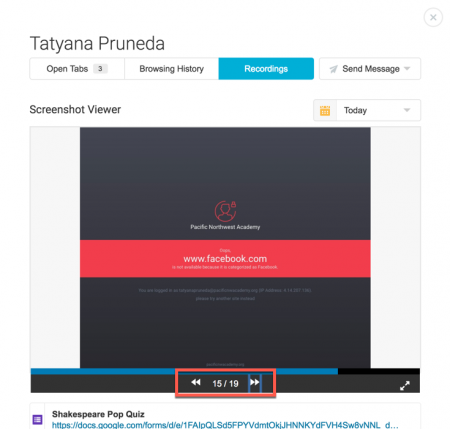 Click on the record icon to start recording the student’s activity for 10 minutes. 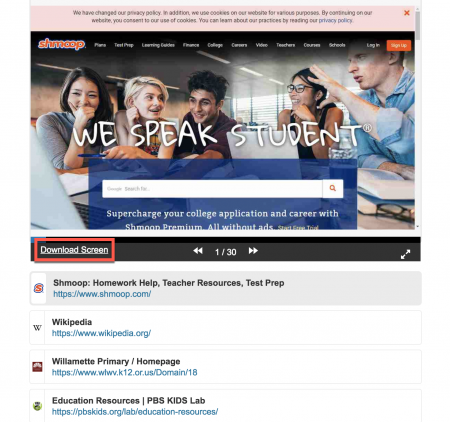 Click on Download Screen to save the selected screenshot. Click the Send Messages drop-menu to view a list of messages that you can send to the student.